Attend meditation with a local practice group in Berkeley, Santa Cruz, Seattle and Virginia. Email us: info@buddhistyogis.org to find out about your local group. We offer four main approaches to learning and participating, each representing varying levels of study, practice and interest. In order to foster opportunities for beginning and more advanced training – our classes vary. Some are study oriented, some practice oriented, some community oriented and some are discussion oriented. We also have classes which are beginner oriented. Generally, the online trainings are study oriented, whereas retreats are practice oriented. However sometimes special online classes are offered to unpack the various components of practices in order to support your ongoing engagement with that practice. Public classes are open to the public. They are also called Open Teachings. Led at our residential centers, communities and other locations. These classes include weekly meditation, community gatherings. Community Meditation classes involve meditation, book study, discussion, lectures, movie-nights and guest teachers. Pema Khandro offers an open-free online guided meditation each month on the fourth Wednesday of the month. It is approximately half an hour with guided meditation and study of Excellent Path to Enlightenment, the guide to meditation by Longchenpa. Registrants will receive a link to log into to the class before the class starts. Email info@BuddhistYogis.org to receive the link. For Members Only – become a member! Pema Khandro offers an online guided meditation and discussion online for members only on Dzogchen Day. This is celebrated on the second Wednesday of every month. Pema Khandro will offer a guided meditation. Following this she will receive question and answers from participants. All members will receive recordings of these events, so if you cannot attend live, you can still tune in afterwards. In the event that Pema Khandro is traveling or in retreat, this class is led by one of her senior students. If you want this opportunity to dialogue with Pema Khandro once a month – become a member! Buddhist classes taught by Pema Khandro and guest Lamas are offered regularly. These take place online, by phone or in person with regular retreats at the Berkeley MahaSiddha Center in California or at House of Bodhichitta in Santa Cruz, California. Topics covered range from introductory to advanced teachings. We also sponsor public events which include empowerments offered by Tibetan Lamas. Empowerments are rituals that initiate the practices of meditation, visualization and mantra in Buddhist Tantra. Visit our Curriculum of Practice and Study for more details. Additionally, member only events are also offered regularly. If you want to connect more with the Buddhist Yogis Sangha and Pema Khandro – become a member! Buddhism is way of living in wakefulness and compassion. Studying Buddhism offers resources for raising our awareness and clarifying our views of mind, self and society. Practicing Buddhism is empowering. It provides practical tools to navigate the experiences of body, mind and emotions. while at the same time looking inward to understand our mind. Buddhism prepares us to make use of whatever comes as further training. Classes take place once a month online in a combination of live classes, self-paced modules and discussion groups. The Vajrayana Training classes are open to the public with a six-month commitment after completing the pre-requisite self-paced modules. Additional self paced modules are provided throughout the course. The self-paced modules rotate through six cycles of teachings. The live classes focus on study of Vajrayana texts. Visit our Vajrayana Training page for more information. Additionally, support Vajrayana study, there is a yearly Vajrayana Retreat offered every Spring in California. The pre-requisite for these courses is an application, interview and completion of a self-paced video course, plus current enrollment as a member at the Mandala Holder Members Level and above. Our approach to Buddhist study is to draw from Buddhist theory and practice as a resource for exploring mind and reality. We favor a non-dogmatic approach to exploring Buddhist resources with an emphasis in the value of questions, doubts, diversity and contradictions. others on meditation, others on ritual. To some people it is a religion, to others a way of life. Buddhism is a free gift to help relieve suffering through cultivating authentic presence. Students who study in our courses have many different belief systems and lifestyles. It should be that way, diversity is beautiful. It would be my worst nightmare for us to all agree on everything, look and act the same. We are not taking an approach of blind faith, nor a rigid or devout approach. – with an explorer mindset. An explorer mindset is one in which we value multiple perspectives. We value there being more than one ‘right answer’ which we can find by looking through the various Buddhist vehicles. In Vajrayana Training we are studying a system and the context for practices. We are also working through some questions and issues about applying Vajrayana to the modern world. Vajra Sangha are the close personal students of Pema Khandro and the Nyingma lineage who are eligible for private teachings and advanced trainings. You can identify who the Vajra Sangha are at events – by their red and white shawls. These shawls belong to the traditional robes of Tibet’s Buddhist Yogis, also known as ngakpas. The Vajra Sangha study the view and practices from Tibetan Buddhist Vajrayana and Dzogchen under the direction of Pema Khandro Rinpoche. They follow the curriculum of study and practice described here, which is a sequential path of study, accomplishment and meditation beginning with ngondro. Because the time commitment of each student varies according to their circumstances, students may also elect to choose a path of just study, just accomplishment (Vajrayana practice) or just silent meditation. However, whenever possible students are encourage to proceed along all three tracks in order to cultivate a well rounded spiritual life balanced by intellectual study, ritual and contemplation. 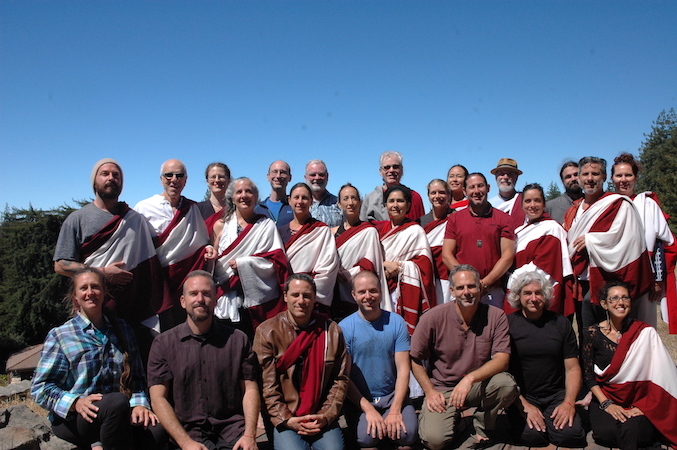 The Vajra Sangha functions in a warm, closely connected community based on building long-term friendships, enjoying mutual respect and appreciation. It is an association of serious practitioners who do in-depth study and service, who are also able to be light-hearted and celebrate life. It is a community of leaders rather than a community of followers since advanced Buddhist study requires a willingness to take responsibility for one’s life and be willing to care for our world. This leadership manifests in terms of engaging with a life of study and practice. It may also include taking Bodhisattva Vows, the commitment to awaken and benefit our world. And for those who feel so called, it may also manifest in terms of taking on leadership roles in the community. 2. Having Taken Refuge vows (These can also be taken with Pema Khandro by request). 3. Written Application – reviewed by Pema Khandro and her assistants. 5. Have observed consistent ethical discipline based on the five precepts. 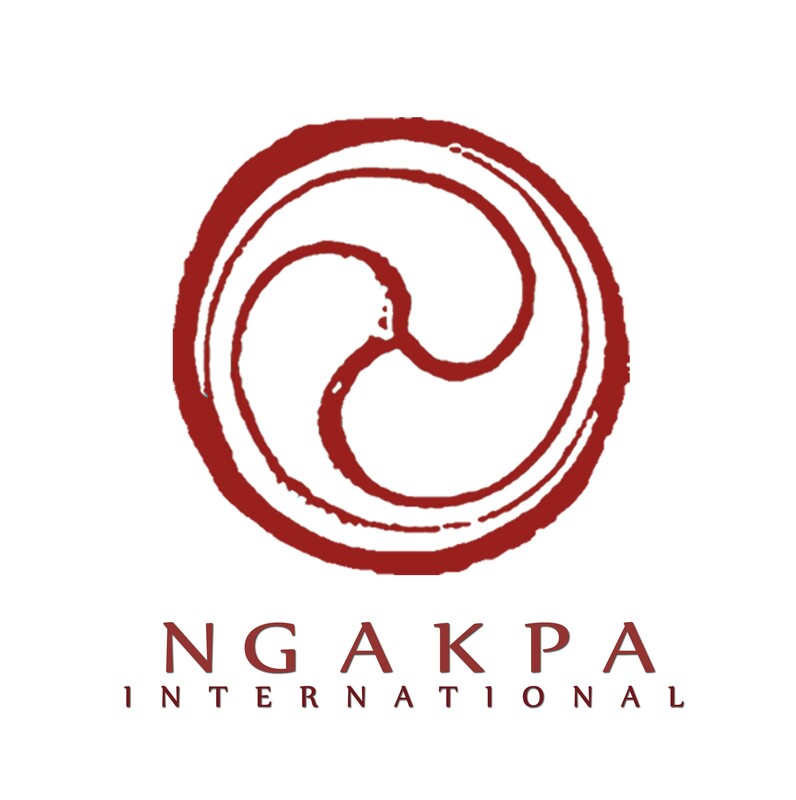 Ngakpa Training This is a course for in-depth study of Vajrayana Buddhism in the Nyingma lineage. Calling the Lama from Afar – These are informal conversation times between Pema Khandro and her long term personal students. The Group Leader Training Program serves the need for training leaders who will serve their local communities, to connect them with the tools for meditation practices and for studying fundamental Buddhist views. There is a need for local and ongoing support for connecting with Buddhism on a more foundational level. The absence of major centers of Buddhist learning, absence of accessible temples and communities places a greater responsibility on local practitioners to organize groups for practice and fostering community connections. In the Buddhist vision of life, each one of us are called to uplift the world, to help others and to be the agent of good on the scene. The lessons focus on application of Mahayana and Vajrayana principles to working with others. The Bodhisattva Training classes focus on cultivating awakened leadership, for leaders, teachers, practitioners, business people, artists, health educators who want to bring that potent ingredient of Buddhist wisdom to the work that they do.Learn more about the Bodhisattva Training Here.